Whether it’s a new assembly hall for your school, new gear for your sports club, or another wonderful cause that’s close to your heart, Cadbury Fundraising can help you reach your fundraising goal. 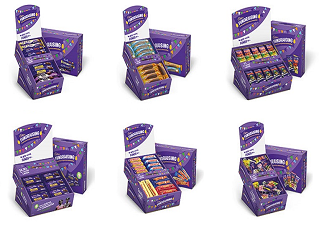 Cadbury Fundraising is a simple way to raise money for your cause, club, social group or organisation. Your biggest challenge is choosing which delicious treats to sell! If you're new to fundraising, our friendly team of local consultants will happily share their 25+ years of experience with you. They will help you choose the right products in the right quantities, and can also provide handy advice about rallying the troops to boost sales. We genuinely care about your cause and want to see you succeed. Cadbury Fundraising also has manyfundraising tips, fundraising ideas and success stories to help you get your fundraising project off the ground. It’s easy to make a profit with Cadbury Fundraising. Get started with everyone’s favourite fundraiser today.